Hi! My name is Ellette. 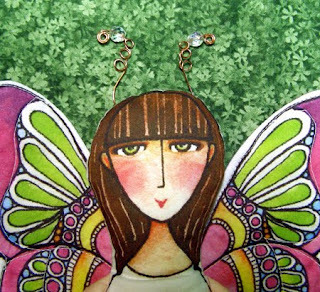 One of my favorite things about being a garden fairy is having antennae. 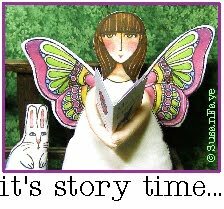 My "feelers" help me with balance and direction, especially when I am flitting and flying about the woodlands and my posy patch. AND, just like my butterfly friends, my antennae have very special scent receptors that help me sniff out my favorite beverage: nectar. Sometimes my antennae will detect smells other than nectar. Just yesterday when I was showing my posy book to a friendly white garden bunny, my antennae detected something new in the garden: the subtle scent of tuna mixed with traces of curiosity, plus a hint of irrepressible mischief. Now my little foundling needs a name. Can you help me? Help Ellette find a name for her new friend. Leave your suggestion in the comments section of this post. Update: Giveaway entries are now closed. Thanks for participating! See all of the great suggestions in the comments section below. 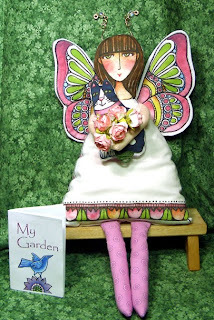 Garden Fairy Ellette is so pleased! Thanks to your wonderful suggestions and your votes, her new kitten now has a name: Faerydae. 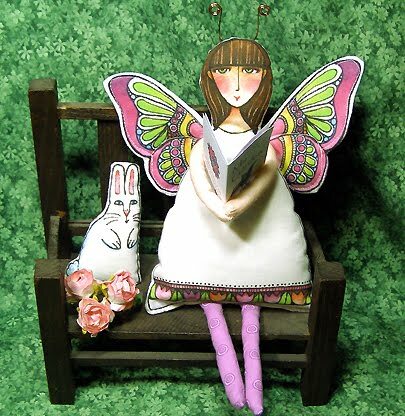 Ellette is a fabric art doll that I have hand-crafted with quilted butterfly wings. Her copper wire antennae feature crystal beads. 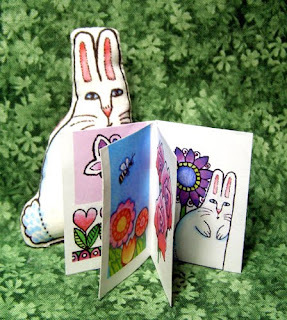 She comes in two sizes and her arms can hold any of her three favorite things in a warm embrace: a little black and white cat (smaller doll holds a white rabbit) , a paper book called "My Garden" (it features 8 of my mini garden illustrations), and a bouquet of silk flowers. 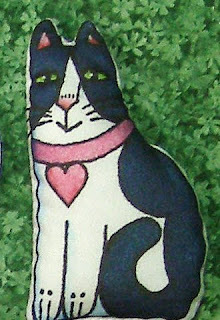 Ellette is made from 100 percent cotton fabric that has been professionally printed with my watercolor artwork. She is filled with eco-friendly bamboo fiberfill. Surface washable only, if done gently. Last weekend I visited friends who have two beautiful cats. oooh! Allette is so pretty!! I would call her new kitty ~Marguerite~, which is French for Daisy. 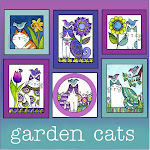 Daisies are one of my favourite flowers... they always liven up a garden, just as cats liven up our lives! Cat Lady Jan D. sent in her entry by email: The name I would like submit to Ellette for her consideration is Posy Rosy,no particular reason, just seems purrr-fect to me. The first thing that came to me is "Tux" since she's a tuxedo cat. I would call her Simone—an elegant name for an elegant kitty! Licorice Allsorts....called Allie for short. 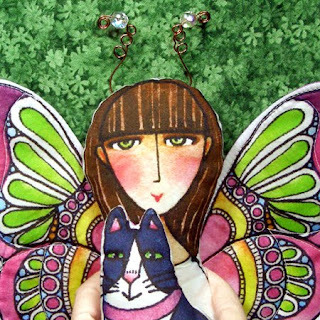 Oh a Fairy cat, how cute...I think "Petal" would be a darling name for the kitty! I think Pomelo would be a cute name, like the fruit. He looks like "Kobus", the cat that lives near your apartments...so I would suggest the name Kobus....strange a? "Star Feather" sounds good to me...light as a feather and a rising star. I think a garden flower name would be appropriate for this sweet kitty: either Poppy or Buttercup? I think Catcopy is the perfect name. Love the little kitty. He looks so happy. Nice color combination too. I would call him: Puree since he is a content and happy kitty. I'd like to suggest the name "Cashmere." I would like to suggest the name, "Cashmere." Thank you! 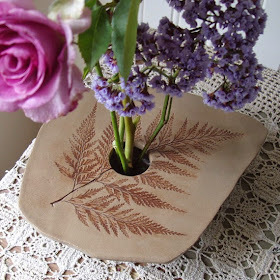 I really love your blog and I am going to put you under my favorites on my blog list. My daughter would have a fit if she saw you wonderful creations. She is a CAT LOVER big time!! We have two cats and she still calls the baby Kitten. Even though he is 1 years old. His name is Smokey and our girl cat is named Cleopatra but we call her Cleo. Cleopatra would be a good name for the cat. hmm since the kitty was found by a faeire, how about Spite? Not as the drink lol but as a type of faerie. 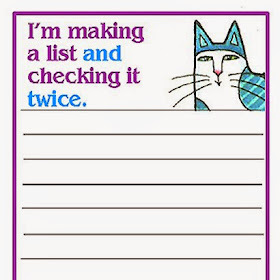 I personally think Spite or Pixie is a great cat name. I used to know a tortie named Pixie years ago. Hi, i love this kitten. Oh so cute! i have a cat that lives on my world with me. i named her kit kitten. 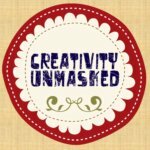 I am so liking your blog and the creations you create. I like Zoe because it means "full of life"!